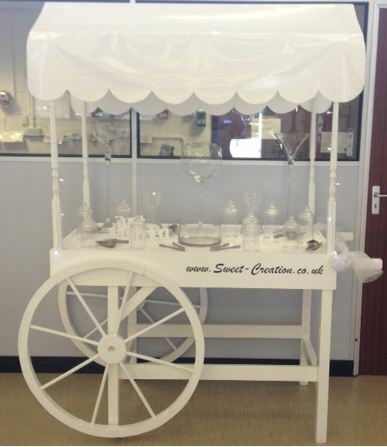 Sweet-Creation is pleased to be able to offer full sized vintage style sweet carts, Cup-cake carts and sweet stations for hire. 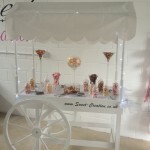 Whatever your occasion, a Wedding, Anniversary, Birthday or Corporate Event we aim to offer you an unforgettable service, with beautifully presented Sweet Trees, and Candy carts that can be coordinated to compliment your colours and theme. Please take a look around our site. 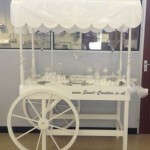 We aim to offer a bespoke service that’s tailor made just for you. 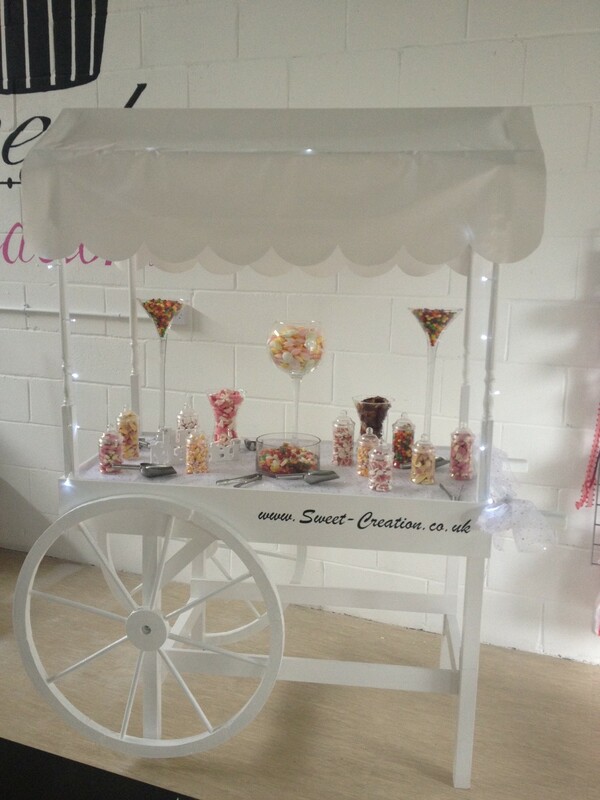 Hire of one of our sweet carts on their own for 24 hours (includes choice of canopy) – £60 All prices include delivery, Set up and collection within a 15 Mile radius, a refundable deposit of £100.00 is required during hire period and is returned upon collection. WE NOW ACCEPT PAYMENTS BY CARD.